We've carried beads made by Michelle's aunt, Lillie Jameson, for a few years. Michelle was introduced to us in late 2010 and we have periodically bought fine handmade Sterling beads from her ever since. 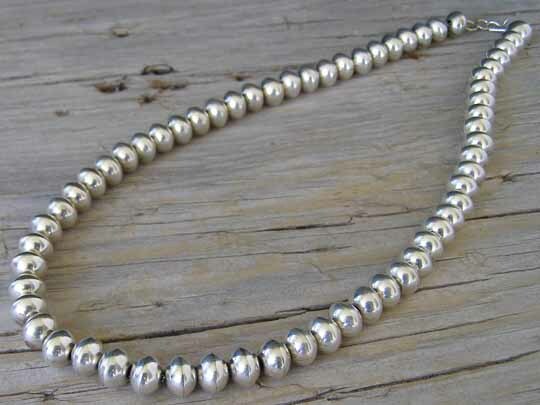 Michelle is best known for making Sterling beads with a brushed, oxidized finish. This strand of beautifully handmademade beads is the high-polish version of her artistry. These are very cleanly executed and strung to yield a smoothly fluid strand.